The federal government is investigating Amazon for potentially violating U.S. sanctions on Iran. Amazon (AMZN) disclosed the government probe in documents filed with the Securities and Exchange Commission last week. The company said that between January 2012 and June 2017, it sold and delivered nearly $25,000 worth of merchandise to an Iranian embassy outside of Iran, and another $8,100 to other individuals with ties to the Iranian government, according to the filing. The products it sold included books, jewelry, toys, health and beauty products, electronics, lawn and patio equipment, and musical instruments. Amazon said the purchases were made by people covered under the Iran Threat Reduction and Syria Human Rights Act, a 2012 law passed by Congress that imposed sanctions on the country. The act required public companies that do business with Iran to disclose their transactions. Another $300 worth of products went to a person designated under a government order that bans organizations from dealing with individuals or groups suspected of terrorist activity, according to the filing. The news was reported earlier by the New York Daily News and by the Washington Post, which is owned by Amazon founder and CEO Jeff Bezos. Amazon said in its filing that it voluntarily reported the orders to the Treasury Department's Office of Foreign Assets Control, along with the Department of Commerce's Bureau of Industry and Security. The company said it intends to "cooperate fully" with the government's investigation, "which may result in the imposition of penalties." 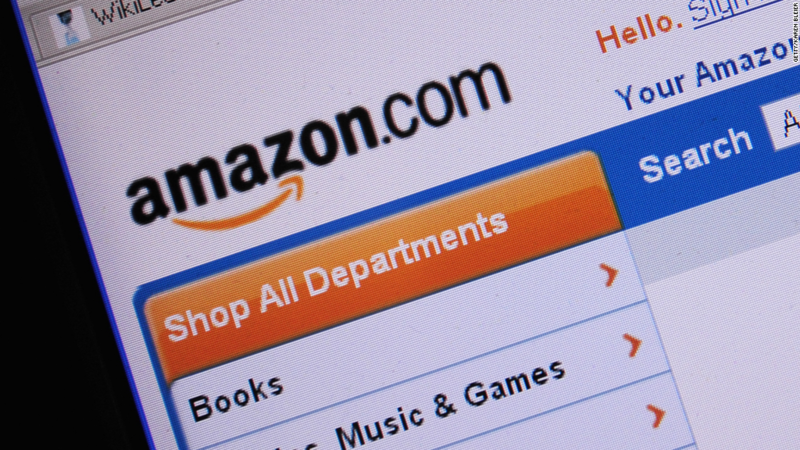 Amazon does not plan to sell anything else to the accounts, according to its filing.